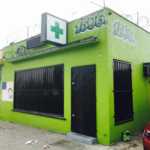 Being a relatively young LA-based dispensary, OG HILIFE CLUB aspires to bring its patients the best possible customer service and become your #1 medical marijuana provider. Here every customer is more than welcome to inquire any information, regarding types of cannabinoid products available here and their effects on human body. OG HILIFE CLUB deals with only reputable farms in the Los Angeles area. That is why every leaf that ends up on the counter is of top-quality and has been tested under lab conditions for THC concentration and safety. An exclusive assortment of Sativa, Indica and Hybrid strains that can be found here has been carefully selected to treat patients with various medical disorders. In order to improve upon customer experience OG HILIFE CLUB has always new special deals and promotions for both first-time and regular clients. All patients are required to bring their valid CA ID and an original doctor’s recommendation.